Ask someone what they think working in government might be like, and you’ll sometimes get answers like this: it will be out of date, detached from reality, officious, cumbersome. Those are Yes, Minister-era stereotypes that simply don't apply anymore. Government moves faster in the digital age. 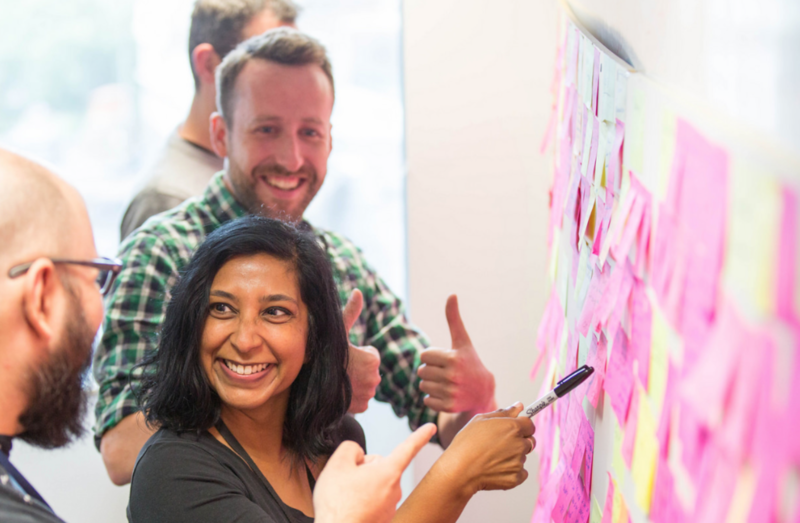 We’re building some of the world’s best digital services for people (as acknowledged by the United Nations E-Government Survey, which ranked the UK at number 1). The reality is that working in government today is modern, fast-paced and hands-on. We focus relentlessly on user needs. We’re changing and improving all the time. As GDS has been saying for a long time now, it's not about computers. It's about people. The unit of delivery is the team. So how can we make sure we have the best teams possible, with the best skills, right across government? A digital career in government is one of the most exciting things you can do. We're no longer stuck in the past - we're able to build teams in a modern, flexible way. My team’s job is to make this the norm for all digital professionals across government. No matter which department they start their career, and no matter what moves they subsequently make from one department to another, and from one role to the next. To do that, I'm building a coalition of minds. My team is working with all departments to get everyone in government thinking and acting in the same way when it comes to building capability, so that all digital professionals get treated consistently and fairly. And so that government stands out as a great place for digital professionals to work. I'm passionate about this. I genuinely think this is more like starting a movement than simply doing a job. I believe in it because ultimately, I'm a people person, that phrase “transformation is not about computers, it's about people” means a lot to me. And it's a collaborative, cross-government joint effort. That's what we mean when we talk about transforming together. Getting transformation done is a top priority for government, and building capability is a crucial part of that. The people we employ and the skills they bring with them (or develop while they’re here) are our most important assets. Working in partnership with all departments, our team is taking action to unify our language, embrace a coordinated approach, share best practice and make the most of ‘what good looks like’ across government and industry. In future blog posts, I'll go into more detail about the work we're doing in each one of those. For more info about the Digital, Data and Technology Profession team visit our page. In the same way it can be the people that slow down the progress of technology and use of new options. Change agents and support from above are key in driving new digital initiatives with momentum.